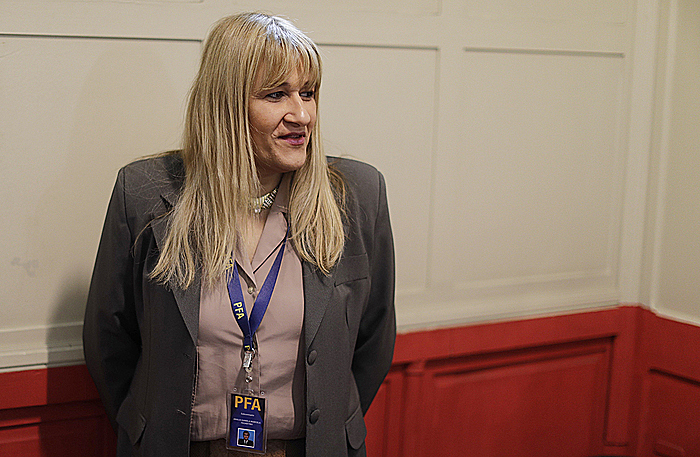 BUENOS AIRES, Argentina (AP) — Analia Pasantino served in Argentina's federal police as a man for 20 years, then she came out as a transgender woman and was forced to resign. She is smiling these days, though, beaming with pride to be wearing a police badge again. And the sign on her office door reads: "Chief."